The Bitcoin Basics is the name of a free online Bitcoin course developed by the Draper University (school for young entrepreneurs) and Zapchain (network for Bitcoin professionals) in the form of an engaging Bitcoin course for beginners from mostly a non-technical perspective. 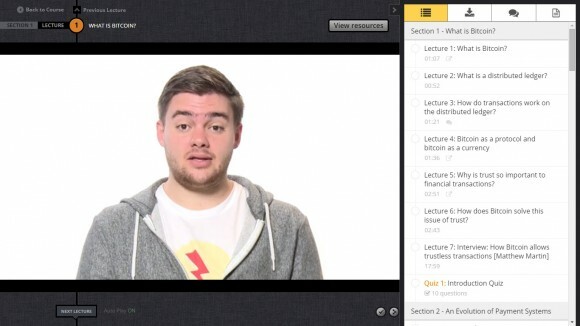 The online course tries to teach the fundamentals of Bitcoin and introduce some of the entrepreneurs who have been funded by tens of millions of dollars, the venture capitalists behind them, and some of the brightest engineers in Silicon Valley, all of whom give their unique insights into how Bitcoin can change the world. Although the course is designed for people that are new to Bitcoin and want to learn more about it more from the business side of things and the potential that it has, it can still be useful and interesting for people that are more familiar with Bitcoin, especially for the ones that are mining and are more on to the technical side of things. So you should give it a go, as we’ve said the course is free and you can quickly and easily check it out, though going through the whole thing will require you to spend a few hours at least.